La Barbara's seminal etude (1974-76) exploring the myriad possibilities that can be generated from a single pitch placed in specific resonance areas in the head and throat, also exploring reinforced harmonics and multiphonics. 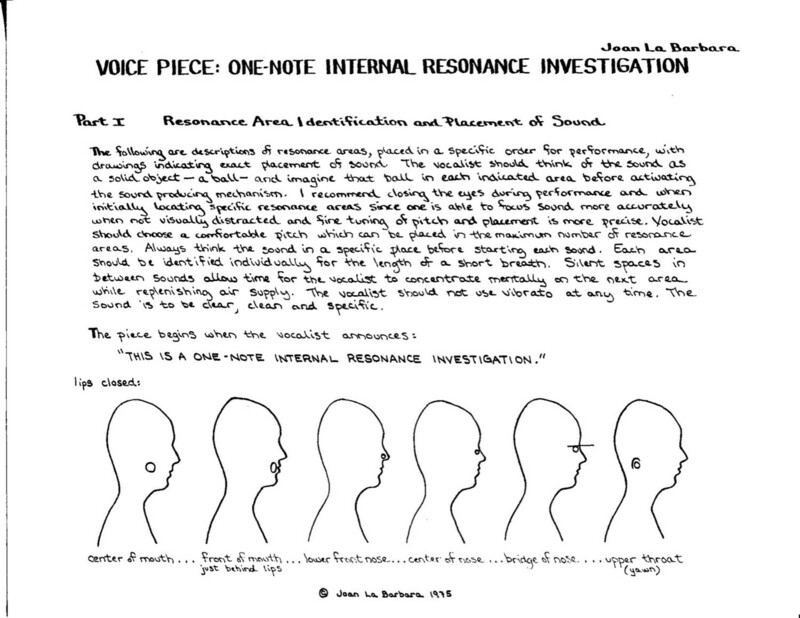 The graphic and verbal score shows both placement of sound and how to produce overtones. Shipped package includes: 17 pages including: 2 title pages (one typed; 1 hand-drawn), 9 pages of hand-drawn score (1975), plus 3 pages of typed notes from 1974, list of first performance season, program notes from concert including this work.